You know there are different kinds of grass because some of the lawns in your neighborhood are brown in winter and some are green. Or if you are a golfer, you know there is a different kind of grass growing on the greens compared to what is growing on the fairways. So you think “what’s the big deal” until you read the weed control package it states “Do not use on this and that kind of lawn!” This is especially the case with weed controls for southern lawns. On the other hand, most lawns in the north are mixes of compatible grasses like Bluegrass, Perennial Ryegrass and Fescue where it is ok to use the same weed control. Well if you want to figure out what kind of lawn you have, I have good news for you. Click here to go to Scotts easy to use grass type identifier. Here Scotts helps you figure it out with descriptions and pictures of grass types to help you narrow it down. If you are still having trouble figuring out your lawn type, let me know and I will try to help. 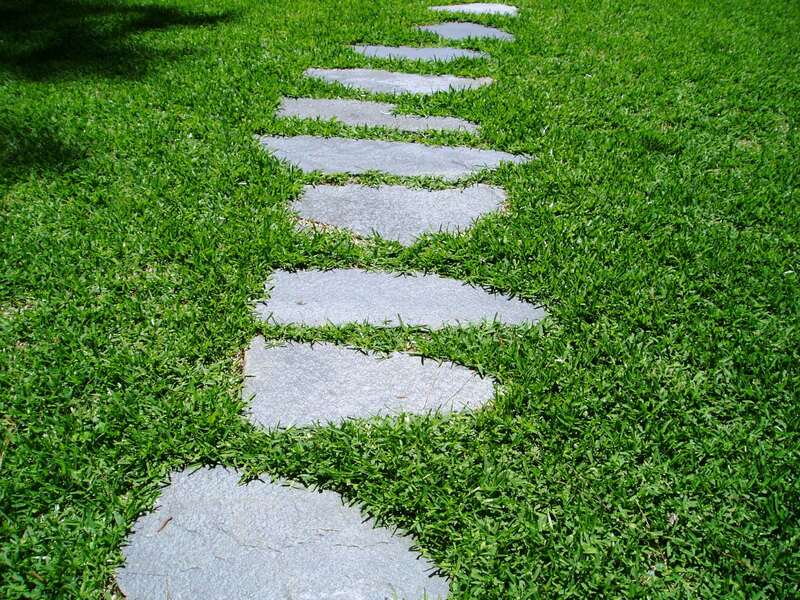 St. Augustine grass is typically found in warmer climates. This lawn is located in Georgia. 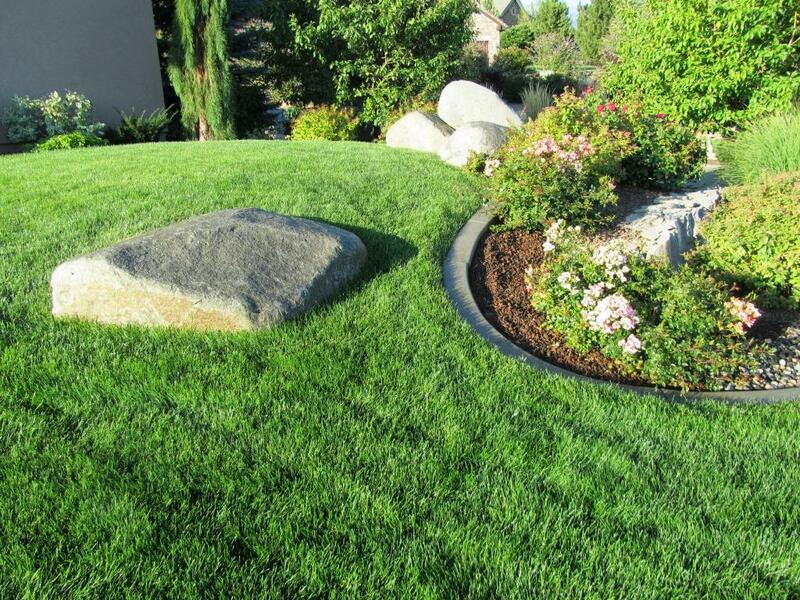 Putting down new grass seed will not likely change the color of grass plants that you have in your lawn now if the green color difference is because of different kinds of grasses. If the variation in green is caused by uneven feeding, you will likely see a more even green with your next feeding. Let me know where you are located and I will give you a suggestion for when to seed and what options you have.